The information contained on MilitaryVALoan.com website is for informational purposes only and is not an advertisement for products. The views and opinions expressed herein are those of the respective authors and do not reflect the policy or position of Full Beaker, its officers, parent, or affiliates. 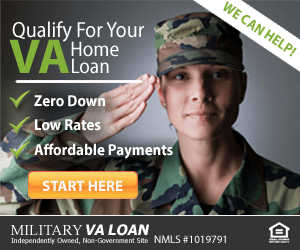 MilitaryVALoan.com is a website that provides information about mortgages. We do not directly offer mortgages, accept applications or approve loans but we work with partners who do. MilitaryVALoan.com is not responsible for the accuracy of rates, APR or loan information posted by brokers, lenders or advertisers. Any connected advertisements do not imply affiliation or endorsement by any government agency. 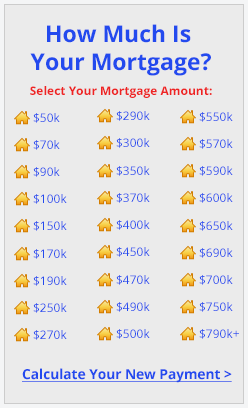 Credit may exceed the fair market value of the dwelling. Interest on the portion of the credit extension that is greater than the fair market value of the dwelling is not tax deductible for Federal income tax purposes. The consumer should consult a tax adviser regarding the deductibility of interest and charges. Please contact our support if you are suspicious of any fraudulent activities or have any questions. If you would like to find out more information about your benefits, please visit the Official US Government website for the Department of Veteran Affairs or the US Department of Housing and Urban Development..TheMortgageReports.com is operated by Full Beaker, Inc. NMLS #1019791. Click here to view our licenses on the NMLS Consumer Access website. Full Beaker Inc. is a registered mortgage broker and loans are arranged through third parties. We are not affiliated with the US Government, US Armed Forces or Department of Veteran Affairs. US Government agencies have not reviewed this information and this site is not connected with any government agency. Oregon – Licensed as a Mortgage Lender by the Division of Financial Regulation, License No. ML-5250, Full Beaker, Inc.